Marabella Commercial Finance, Inc. is a company that specializes in arranging financing for 1031 Net Leased Walgreens, CVS, Starbucks, Kohls, Home Depot, Lowe’s, Dollar General, Family Dollar, Dollar Tree, O’Reilly’s, Jack In The Box and other single tenant and multi-tenant properties. 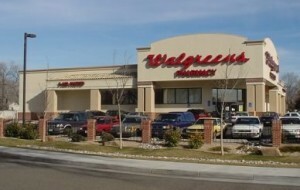 Marabella Arranges Financing For several Walgreen, Starbucks and O’Reilly’s Automotive Properties in the 2nd and 3rd Qtr. 2014. For the Walgreen property the Sponsor was a repeat client for Marabella Commercial Finance. Marabella dealt with the Sponsor’s uncle in the 1970’s in which Marabella acted as principal structuring Sale-Leaseback financing with Safeway, putting CTL debt on the stores and then selling the Safeway stores to the uncle. For the nephew’s Walgreens store Marabella structured a refinance / cash-out transaction. Marabella originated a CMBS permanent loan of $4,500,000. The spread for this transaction was 197 Basis Points over the 10 year swap rate. The rate was locked at approximately 4.70%. The Sponsor requested a 6 year interest only loan and after the interest only period the loan begins to amortize over 25 years from year 7 to 10. This was a Non-Recourse loan with Standard Carve-Outs. For the Starbucks property Marabella met the developer at the International Council of Shopping Centers Convention (RECON) May 2014 and helped the developer pull cash out of the Starbucks. Marabella Arranged a loan amount of $850,000 with an amortization of 20 years and fixed for 10 years at 4.75%. The prepayment penalty is a friendly 3.00% for the life of the loan and no prepayment for the last 6 months of the loan. If all conditions are met this transaction should fund in mid August 2014. The Developer plans to have Marabella arrange financing for additional Net Lease Projects he has in the works. The Sponsor for the O’Reilly’s transaction is a repeat client for Marabella. 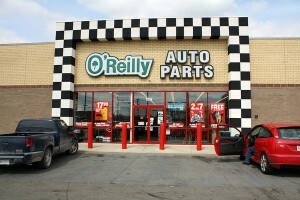 Marabella Commercial Finance arranged financing for this client’s other O’Reilly’s property several years ago. For the new cash-out transaction a conditional commitment has been issued. The client for this transaction requested a fixed and fully amortizing coterminous loan which amortizes over the remaining primary term of the lease which is 14 years. The fully amortizing loan has a fixed rate of approximately 4.25%. This loan also comes with a friendly prepay option of 3.00% for the life of the loan and the no prepayment window in the last 90 days of the loan. If all conditions are met this loan should fund in mid-August 2014. Marabella is also arranging financing for two additional Walgreen properties and working with a repeat client in which Marabella arranged financing for her clients KinderCare property in Irvine, California (Southern California). This client is one of the top female money managers in United States by Barron’s financial magazine and has $1.2 Billion in assets under management. Marabella arranged an 18 year amortization with a 15 year fixed rate loan at approximately 4.25%. The loan amounts equaled $1,725,000 and $2,850,000. Marabella again arranged a friendly 3.00% prepayment penalty for this transaction. If conditions are met both of these transactions are expected to fund sometime in September 2014. Walgreens, CVS, Starbucks, Kohls, Dollar General, Family Dollar, Dollar Tree, Safeway Stores, Rite Aid, Jack in the Box, 7-Eleven, O’Reilly’s, AutoZone and Large Anchored Centers with credit tenants. Marabella Commercial Finance, Inc. is a member of the Mortgage Bankers Association and will be attending the annual 2015 CREF Convention in San Diego, CA from February 1st to the 4th, 2015. Marabella will also be attending the International Council of Shopping Center’s 2014 Annual Western Division Convention in San Diego, CA from October 1st, to October 2nd, 2014 at the San Diego Convention Center. MCF will also be attending the 2015 International Council of Shopping Center’s RECON Convention around May 17th to the 20th 2015 at the Las Vegas Convention Center in Las Vegas, Nevada.